Fabulous 3-piece multi-gem inlaid bear pendant, with a starry night and yei design. 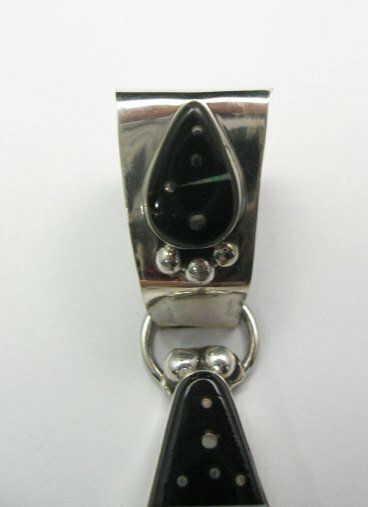 The pendant measures 4-7/8 inch long, by 1-1/4 inch wide and weighs 37 grams. Oversized bale. Created by Navajo artist Ray Jack. Item# 5975. 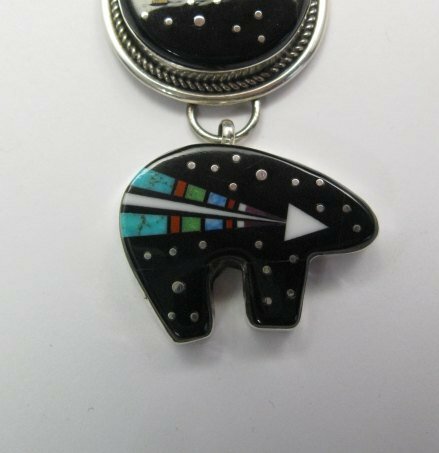 This elegant contemporary multi-gem inlaid bear pendant was created by Navajo artist & silversmith, Ray Jack. The 3-piece pendant is inlaid with a multitude of semi-precious stones - there is a colorful yei scene against a starry night sky. The black night sky is inlaid with small dots of sterling silver, which look like stars. The pendant is absolutely breathtaking is both design, artistry and craftsmanship. The over-sized silver bale is inlaid too. 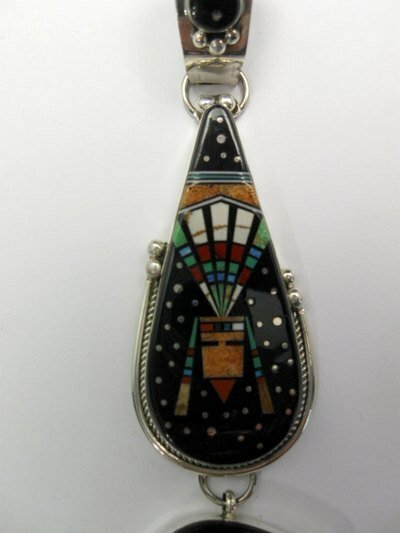 The pendant measures 4-7/8 inch long, by 1-1/4 inch wide and weighs 37 grams. The bale has a use-able interior diameter of over 7/8 inch. The pendant is over 1/4 inch thick. Solid sterling silver back. Brand new and in perfect condition. Gift Box and Certificate of Authenticity included. 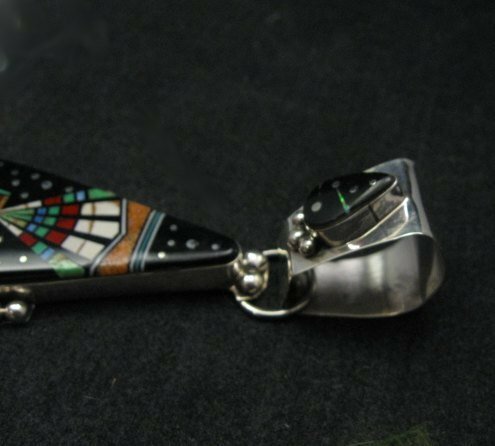 Hallmarked and created by Navajo artist Ray Jack. 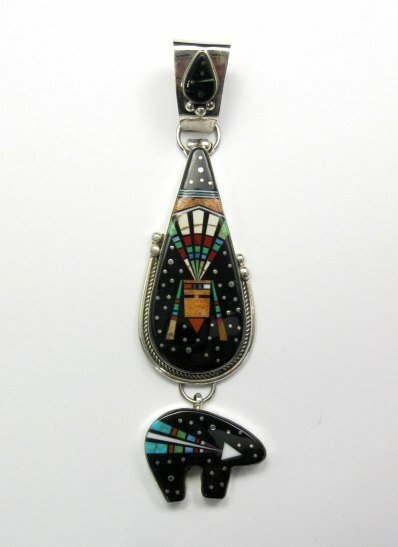 This is a different Ray Jack than the Navajo artist who makes the famous inlay rings.